So I am a fan of Game of Thrones, but a bit of a wuss, ‘I’ll catch up with it when I can’ type of fan, not your dyed-in-the-wool, merch-collecting, location-visiting, super-fan-type fan who’ll be throwing a themed launch party on premiere night. 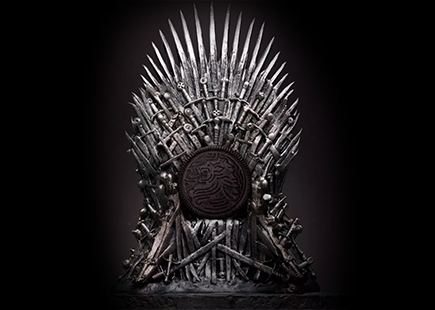 But I do get the fervour of the HBO-owned franchise as it reaches its finale and how it found the right partners to produce limited-edition products to tout around in celebration of the programme’s cult status. I particularly get, and want to get, the White Walker Scotch produced by Johnnie Walker as one of eight official partnership blends it has released for the GoT conclusion. 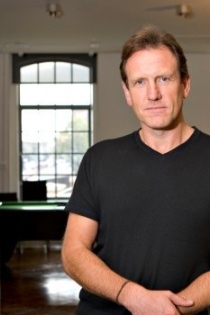 I’d happily neck some of that back whilst watching the very last series of Game of Thrones from my meagre, brown leather club armchair on Richmond Hill. Maybe I can replace it with one of the six iron thrones stashed around the world to be found by some intrepid GoT trophy hunters. I think there might be one down the alley round the back of our local pub that I can pilfer. As I mount the throne, clad in the furry Ikea rug from the hall with my feet up on my trusty Irish wolfhound (okay, my flatulent labradoodle called Cosmo) what will I choose to be chowing down on with my licensed Ommegang’s GoT Golden Ale and whisky chaser as that iconic music starts up for the first instalment of the last series? Oh, okay. I suppose they are menacingly black and make a bone crunching noise as you bite into them. I’ll put the haunch of venison back in the freezer for a later date. 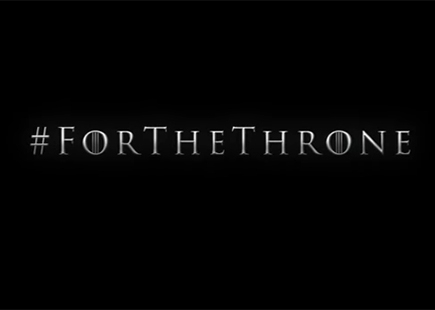 I’ll have to get them in before 14 April from Amazon of course, in its GoT-inspired packaging under the hashtag #ForTheThrone. 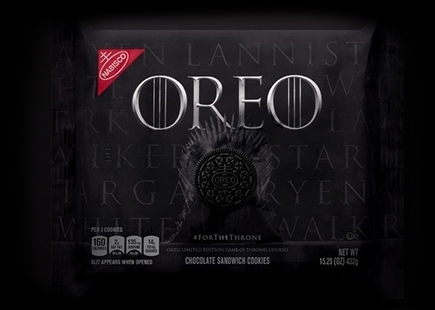 This is the first time Oreo has ventured away from its own brand guidelines to sacrifice its logo font for the GoT one. And I say sacrifice, as this is what it had to do to display its love of the series to the HBO executives choosing which partners they were willing to share their success with. It seems Oreo’s love of the brand actually extends to obsession. 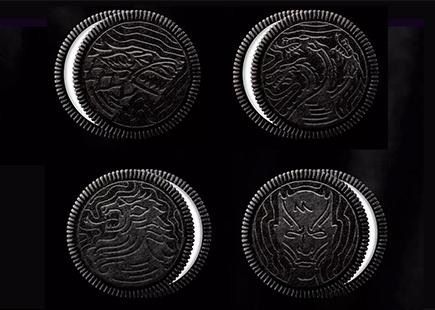 Not only has it strayed from strict brand protocol, it has embossed each limited edition cookie with one of four sigils: the grey direwolf of House Stark, the golden lion of House Lannister, the three-headed dragon of House Targaryen or the Night King, leader of the Army of the Dead. Hmm, not quite the mouth-watering titles you get in your box of Dairy Milk. It has even teamed up with HBO to make a bespoke Oreo title sequence ad, made of up 3,000 Oreos and it’s a landscape I for one would have happily chomped through for days on end when it broke up the set. It gave me a chuckle and helps further build the anticipation of this much hyped, much loved, much profit-making occasion. My only criticism is the animation is a bit ropey in parts, but hey, that’s all part of the fun I suppose and shows Oreo isn’t taking this all far too seriously. It’s a shame it didn’t bring out a series of ginger nuts when Ed Sheeran made a guest appearance on GoT to show it has got a GSOH. Er, no. I’ll go give an armful down at the Give Blood donation centre. But only if they offer me a three-headed dragon emblazoned Oreo afterwards to go with my cup of tea.